Xenia Portfolio Blogger Template is our first portfolio blogger template which is mostly suitable for blog which share pictures or want to showcase their work. Xenia is compatible with most of the modern browsers and is 100% responsive and it is also 100% search engine friendly. 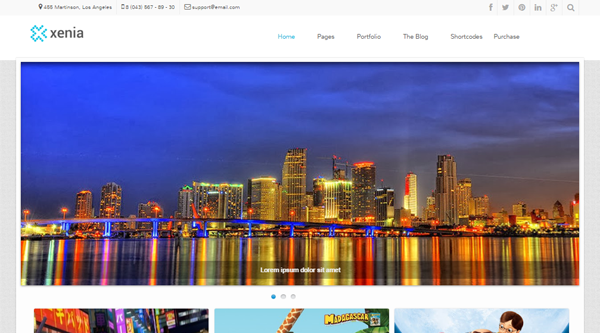 You can showcase your work with this awesome responsive blogger template. Xenia comes with built-in features like drop down menu, featured slider and customized commenting system and more.Following are some of the key features of the Xenia Portfolio Blogger Template.